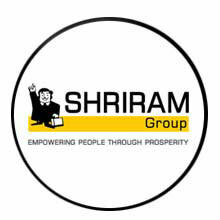 Shriram Insight Share Brokers Ltd ("SISBL"), having its registered office for the present at Mookambika Complex, 4th Floor, 4 Desikachary Road, Mylapore, Chennai - 600 004 maintains this Website interalia at https://www.shriraminsight.com (the "Website") as a service to its Users. The information presented herein is for informative purposes only. SISBL invites Users to visit the Website and download and copy information, documents and materials (collectively, "Materials") from the Website for Users personal, non-commercial use, without any right to resell, redistribute or create derivative works there from, subject to the terms and conditions outlined below. Use of this Website constitutes agreement with the following terms and conditions. service, or any product or service licensed or purchased through the site, is provided on an "as is" basis and without warranties of any kind, either express or implied, including, but not limited to warranties of title or non-infringement or implied or warranties of merchantability and fitness for a particular purpose, other than those warranties which are implied by and incapable of exclusion, restriction or modification under the laws applicable to this agreement. You acknowledge that any warranty that is provided in connection with any of the products or services described herein is provided solely by the owner, advertiser, manufacturer or supplier of that product and/or service, and not by www.shriraminsight.com. SISBL is registered as a trading member of the National Stock Exchange of India Limited and BSE Ltd which is registered with the Securities and Exchange Board of India (SEBI). On-line trading is subject to such rules and regulations as are prescribed by the SEBI from time to time. Residents of countries other than India shall use the service only to the extent the domestic laws of such countries permit them to use the service. All users of the service in countries other than India understand that by using the service, they may be violating the local laws in such countries. These users agree that they will solely be liable for any liability incurred by them in this regard and will indemnify SISBL for any liability. This Service on the Website does not constitute an offer to sell or a solicitation to any person in any jurisdiction where it is unlawful to make such an offer or solicitation. This Service is not intended to be any form of an investment advertisement, investment advice or investment information and has not been registered under any securities law of any foreign jurisdiction and is only for the information of any person in any jurisdiction where it may be lawful to provide such information, otherwise the same shall not be considered an information. The distribution of this Service or content in other jurisdictions may be restricted by law and the persons who access the Service should inform themselves about, and observe any such restrictions. By accessing and surfing this Website, the Customer agrees to be bound by the foregoing limitations. No information, market analysis, research report, etc. on the Website is to be construed as a representation with respect to shares, securities or other investment regarding the legality of an investment therein under the respective applicable investment or similar laws or regulations of any person or entity accessing the Website. Use of the Service is at any persons, including a Customer's, own risk. The data and information provided on the Website is not advice, professional or otherwise, and should not be relied upon as such. Neither the information, nor any opinion contained in this Website constitutes a solicitation or offer by SISBL to buy or sell any securities, futures, options or other financial instruments or provide any investment advice or service. SISBL or their employees have or may have an outstanding buy or sell position or holding in the securities, options on securities or other related investments of issuers and companies mentioned herein. The investments discussed or recommended in the market analysis, research reports, etc. may not be suitable for all investors. Investors must make their own investment decisions based on their specific investment objectives and financial position and using such independent advisors as they believe necessary. Information herein is believed to be reliable but SISBL does not warrant its completeness or accuracy. The content of the articles and the interpretation of data are solely the personal views of the contributors and do not in any way reflect the views of SISBL. Users are advised to peruse the articles and other data in the Website only as information and to rely on their own judgment when making investment decisions. All material on this Site ("Material"), including but not limited to text, images, illustrations, audio clips, and video clips, is protected by copyrights which are owned and controlled by SISBL or by other parties that have licensed their material to us. Material from the Site or any web site owned, operated, licensed or controlled by SISBL may not be copied, reproduced, republished, uploaded, posted, transmitted, or distributed in any way. Modification of the Material or use of the Material for any other purpose is a violation of the copyrights and other proprietary rights. For purposes of these Terms and Conditions, the use of any Material on any other web site or networked computer environment is prohibited. The trademarks, logos and service marks ("Marks") displayed on the Site are SISBL property and the property of other parties. Users are prohibited from using any Marks without SISBL written permission or third parties which may own the Marks. This Website contains links to third-party Websites. The linked Websites are not under the control of SISBL and SISBL is not responsible for the contents of any linked Website or any link contained in a linked Website. SISBL provides these links only as a convenience, and the inclusion of a link does not imply endorsement of the linked Website by SISBL. If this Website contains bulletin boards, chat rooms, access to mailing lists or other message or communication facilities (collectively, "Forums"), User agrees to use the Forums only to send and receive messages and material that are proper and related to the particular Forum. By way of example, and not as a limitation, User agrees that when using a Forum, User shall not do any of the following: Give his false identity. Defame, abuse, harass, stalk, threaten or otherwise violate the legal rights (such as rights of privacy and publicity) of others. Publish, post, distribute or disseminate any defamatory, infringing, obscene, indecent or unlawful material or information. Upload or attach files that contain software or other material protected by intellectual property laws (or by rights of privacy of publicity) unless you own or control the rights thereto or have received all necessary consents. Upload or attach files that contain viruses, corrupted files, or any other similar software or programs that may damage the operation of another's computer. Delete any author attributions, legal notices or proprietary designations or labels in any file that is uploaded. Falsify the origin or source of software or other material contained in a file that is uploaded. Advertise or offer to sell any goods or services, or conduct or forward surveys, contests, or chain letters. Download any file posted by another user of a Forum that you know, or reasonably should know, cannot be legally distributed in such manner. User acknowledges that all Forums are public and not private communications. Further, User acknowledges that chats, postings, conferences, e-mails and other communications by other users are not endorsed by SISBL, and such communications shall not be considered reviewed, screened, or approved by SISBL. SISBL reserves the right for any reason to remove without notice any contents of the Forums received from Users, including without limitation e-mail and bulletin board postings as well as User details. Neither SISBL nor its Affiliates shall be precluded from making any contract or entering into any arrangement or transaction with the companies mentioned herein or with itself in the ordinary course of business or from undertaking any banking, financial or agency services for the companies or for itself or from underwriting or guaranteeing the subscription of or placing or subscribing for or otherwise acquiring, holding or dealing with any of the stocks or shares or debentures or debenture stocks or any other securities whatsoever of the companies or in which the companies may be interested, either with or without a commission, or other remuneration or otherwise, at any time entering into any contract of loan or deposit or any other contract or arrangement or transaction with the companies or being concerned or interested in any such contract or arrangement or transaction which any other company or person would be entitled to enter into with the companies and they shall not be in anyway liable to account either to the companies or any person visiting or accessing the Website including a Customer of the Service for any profits made by them thereby or in connection therewith and the SISBL or its owner or Affiliate shall also be allowed to retain for their or his own benefit any normal share of brokerage, fee, commission, interest, discount or other compensation or remuneration allowed to them. SISBL along with its directors, employees, associates or other representatives and its Affiliates along with its directors, employees, associates or other representatives shall not be liable for damages or injury arising out of or in connection with the use of the Website or its non-use including non-availability, compensatory, direct, indirect or consequential damages, loss of data, income or profit, loss of or damage to property (including without limitation loss of profits, loss or corruption of data, loss of goodwill, work stoppage, computer failure or malfunction, or interruption of business; under any contract, negligence, strict liability or other theory arising out of or relating in any way to the Website, site-related services, or any products or services and claims of third parties damages or injury caused by any performance, failure of performance, error, omission, interruption, deletion, defect, delay in operation or transmission, computer virus, communications line failure, theft or destruction or unauthorized access to, alteration of, or use of information, whether resulting, in whole or in part, from or relating to any of the services offered or displayed by SISBL on the Website. SISBL makes no guarantees or representations as to, and shall have no liability for, any electronic content delivered by any third party, including, without limitation, the accuracy, subject matter, quality or timeliness of any electronic content on the Website. SISBL shall not be responsible for the contents of any linked site or any link contained in a linked site, or any changes or updates to such sites. The links being provided to the Customer are only for convenience, and the inclusion of any link does not imply endorsement by SISBL of the site, or its content or the sponsoring organization. By providing access to other websites, SISBL is not recommending the purchase or sale of the securities issued by it nor is it an endorsement of services provided by its sponsoring organization. The maximum liability of SISBL and its Affiliates to the Customer shall be subject to the amount of fees paid by the Customer for the services that he/she may have availed of through the Website or in pursuance of the Offer or the Service. SISBL shall not be liable for any misrepresentation, falsification, and deception or for any lack of availability of services through the Website, even if the same are advertised for on the Website. No judgment or warranty or representation is made with respect to the accuracy, timeliness, or suitability of the content of other services or sites to which these screens link, and SISBL shall not be responsible.